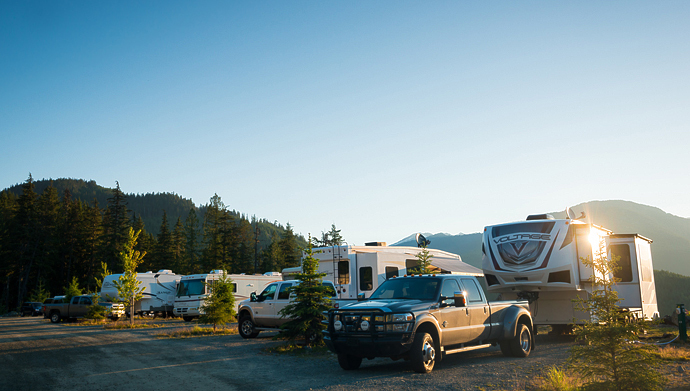 Whistler RV Park offers full hook ups for all our back-in and pull-through RV sites, including sewer, water, and electricity. These sites have ample room for all your pullouts and will fit any sized RV. All sites are also equipped with a picnic table and fire-pit. Nightly rate includes 2 adults and 2 children, additional children are $5. Each additional adult is $5 per night. Pets are charged at $5 per pet per night. Our tent sites are located in the forest, surrounded by trees creating a peaceful camping experience. All sites have picnic tables and fire-pits. 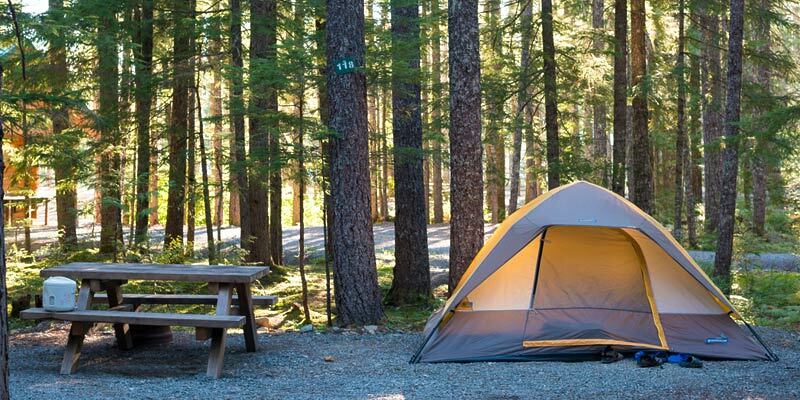 Our tenting area offers a full washroom with free hot showers and easily accessible water taps for your convenience. The nightly rate includes 2 adults and 2 children. Each additional adult is $10 per night and each additional child is $5. Pets are charged at $5 per pet per night. Our campsites are closed during winter months. We no longer accept reservations for tenting. Our tenting is first come first serve. We require a minimum of 48 hours notice before 11am 2 days before your reservation for all cancellations and changes to existing bookings. Cancellations and changes made 48 hours or more before your scheduled check-in result in loss of payment of the first day of the reservation, and refund of the remaining amount. Bookings of one day receive no refund. Cancellations and changes of length of stay made with less than 48 hours notice will receive no refund for the entire stay and/or loss of days when reservation length is changed, for any reason. If you need to change your dates, please contact us at least 48 hours in advance as our cancellation policy applies if not enough notice is given. Changing your dates is only allowed one time, and may affect any special requests you have made. If you need to cancel please email or call us with your reservation number. Refunds take up to 14 business days from the day of cancellation.